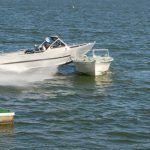 Recreational boaters need to be well-versed in the boating regulations which are appropriate to the waters in which they operate. On some waterways, for example, there may be Federal, State, and Local regulations that apply. In sole state waters, you must generally conform to State, County, and Local regulations. Usually (but not in all cases), Federal and State regulations are similarly applied. But it’s yor responsibility to know what the rules are before you venture out. One good way to begin the educational process is to take a safe boating course. So before you GO…KNOW what the regulations are and be prepared to follow them. 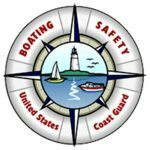 The U. S. Coast Guard’s Office of Boating Safety provides an excellent way to review the Federal Requirements at their web site. The site features lots of other good information for the recreational boater. Although state regulations generally follow closely with the Federal Regs, there might be variations. And, not all state laws are alike. 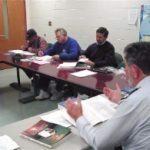 For example, all or nearly all states require formal boater education to operate PWC’s, but some states extend that requirement to ALL boaters. This is the place to go for up-to-date state regulations. You’ll also find the latest year’s NASBLA Directory at this site. 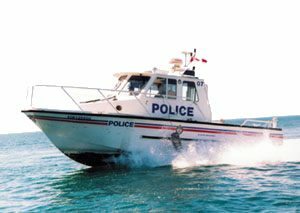 The directory can be very helpful in contacting your local boating law enforceement folks for information pertaining to your state or local regulations. The United States Coast Guard’s Life Jacket Rule for Children went into effect December 23, 2002. In support of the ongoing efforts of the states and Coast Guard to improve boating safety, the Coast Guard is requiring that all children under 13 years of age wear Coast Guard approved life jackets, while aboard recreational vessels underway, except when the children are below decks or in an enclosed cabin. This rule was created to address the problem of childhood drownings while boating. Between 1995 – 2001, 210 of our children, under the age of 13 died while boating. One hundred and twenty one (121) of them by drowning. Most of these deaths could have been prevented if the child had been wearing a properly fitting life jacket. The Rule affects only those States that have not established requirements, by statute or rule, for children to wear life jackets. For the remaining states, the rule recognizes and adopts the existing state regulation, even if it is less stringent. Penalties for a boat operator who fails to have all children under the age of 13 wear a life jacket are similar to those for failing to have life jackets on board. Penalties may be assessed up to a maximum of $1,100 for each violation.